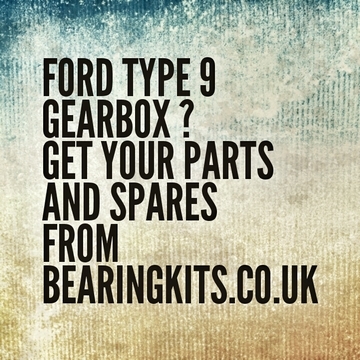 Use this voucher code T9JAN to get 5% discount on all our Ford Type 9 gearbox parts and spares at Bearingkits.co.uk. Discount can be used on any T9 transmission parts including bearings, gaskets, seals and gear kits. This discount voucher code voucher will expire on January 31st 2014.